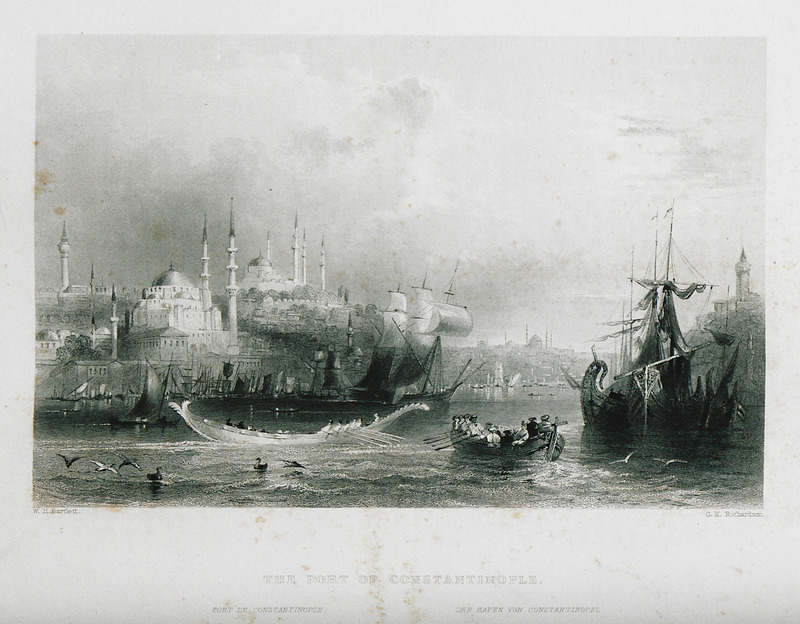 View of the Golden Horn from Eyüp. 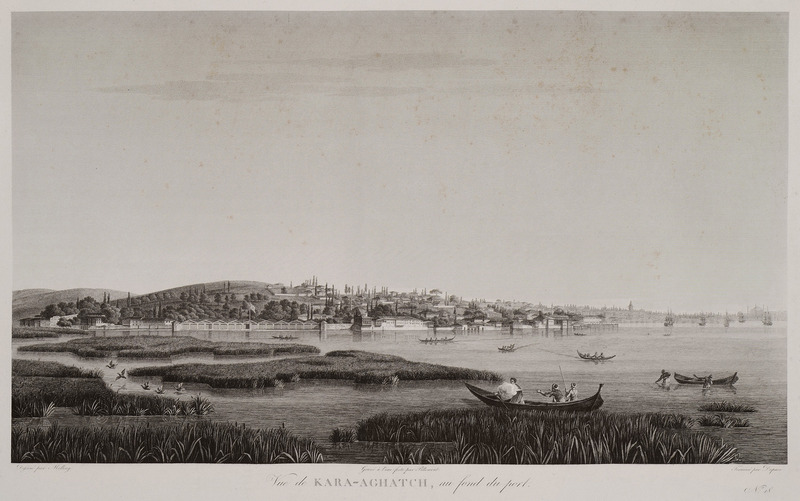 View of Kara ağaç on the shore of the Golden Horn. 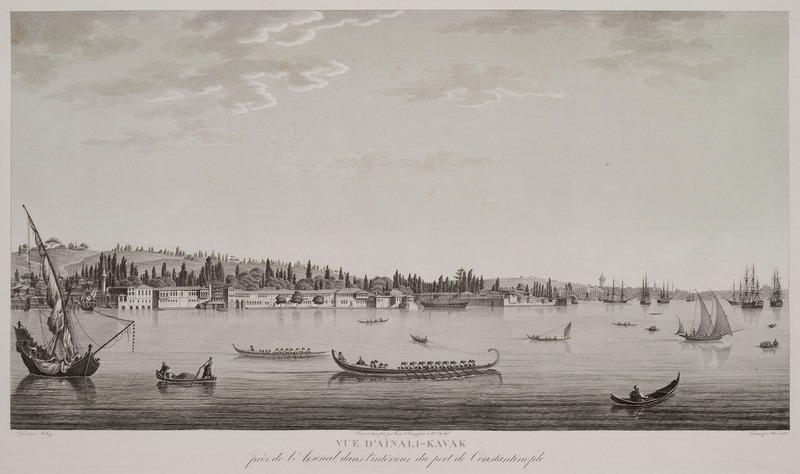 View of Aynalıkavak on the north-eastern shore of the Golden Horn. 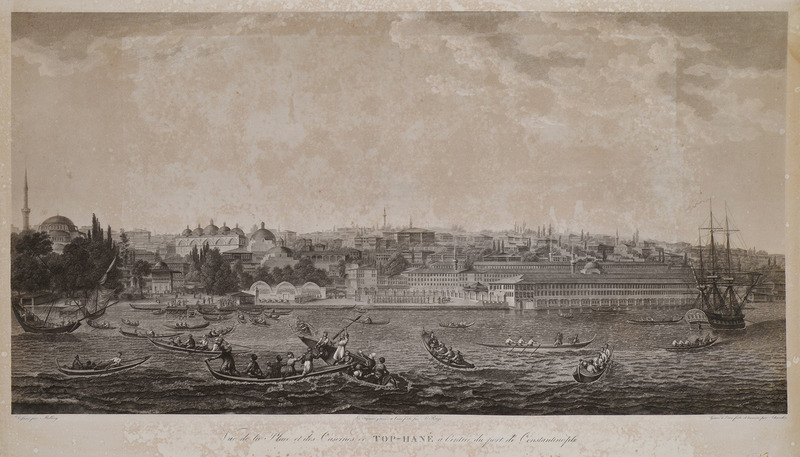 View of the Ottoman shipyards of Kasımpaşa on the Golden Horn. 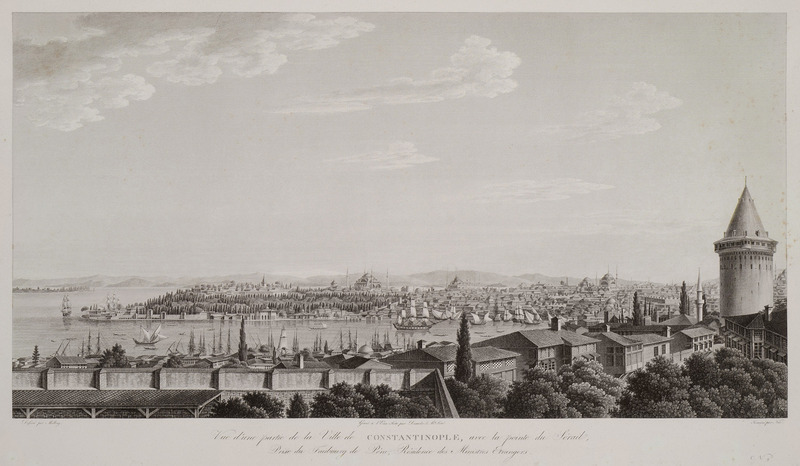 View of Istanbul from Pera (Beyoğlu). 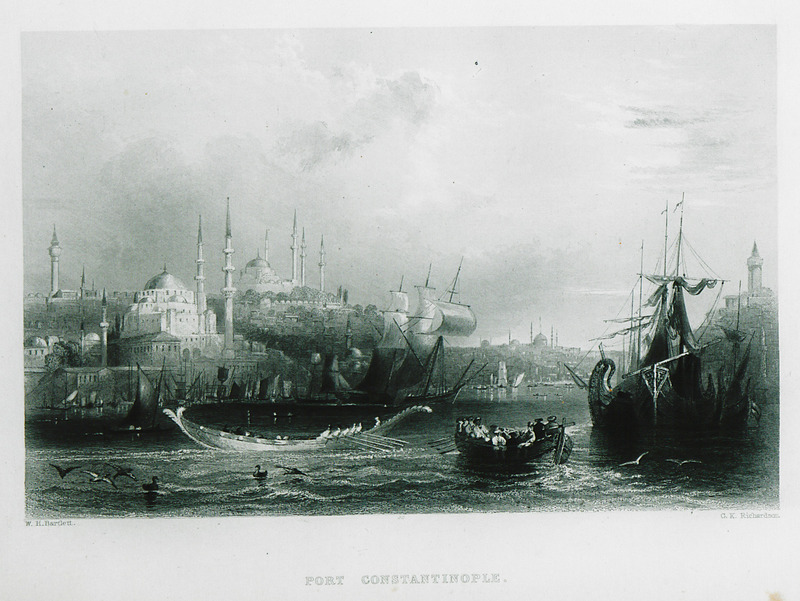 View of the port of Istanbul (Eminönü). In the background the New Mosque, and the Beyazıt Tower, also named Serasker Tower, on Beyazit Square. On the right the Galata Tower. 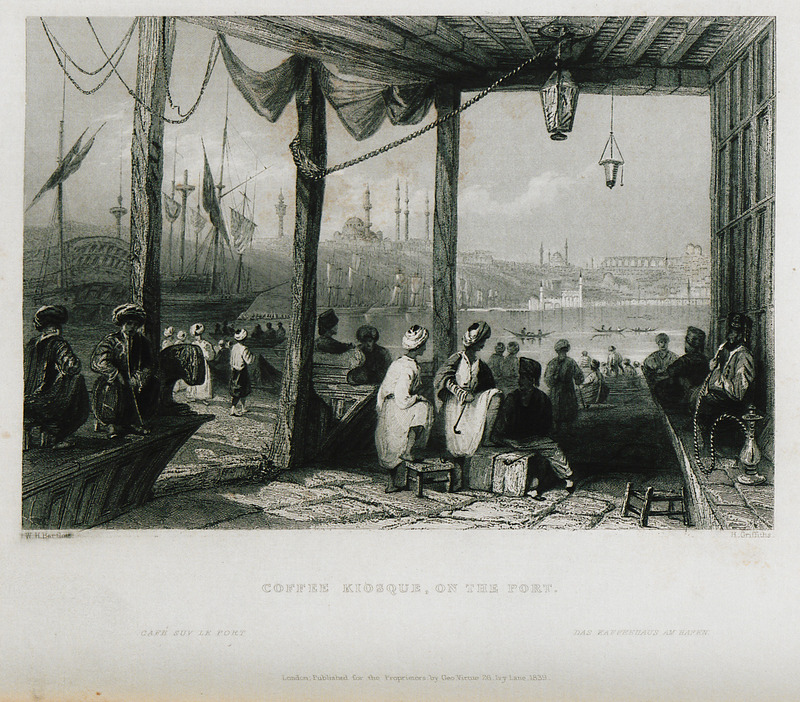 Café at Eminönü. 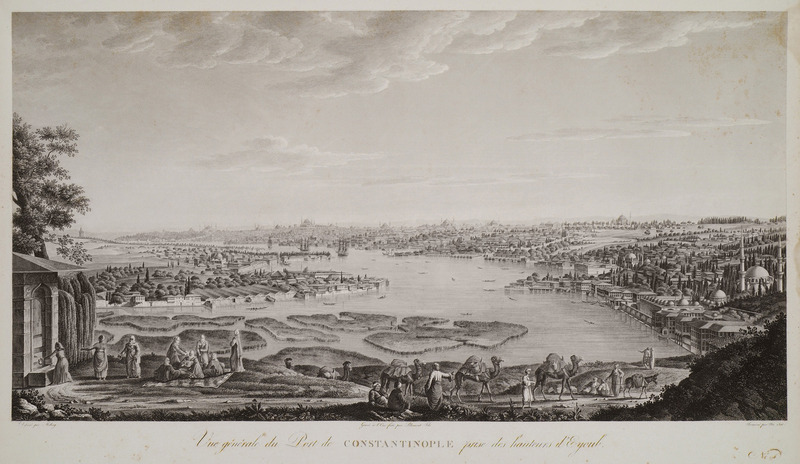 In the background the Tower of Beyazit, also called Serasker Tower, the Mosque of Sultan Suleiman I and the Valens aqueduct. 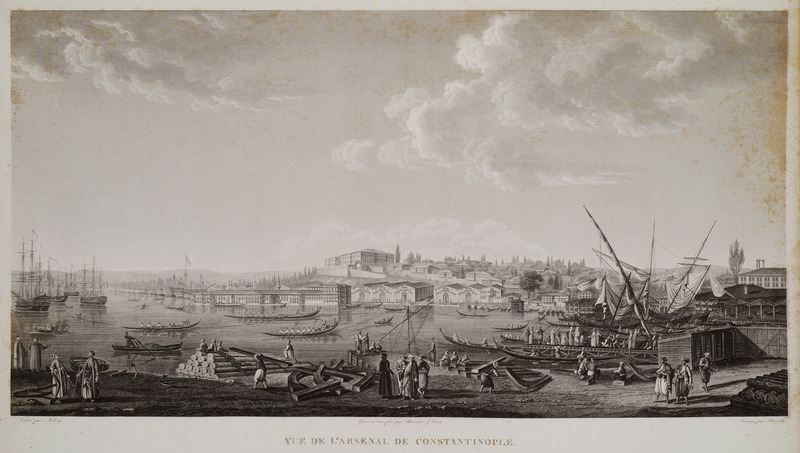 View of the port of Istanbul, on the western shores of the Golden Horn. On the left mosque of Sultan Suleiman. On the right the mosque of Sultan Mehmet II. In the background the Kemerburgaz aqueduct. Fig. I. 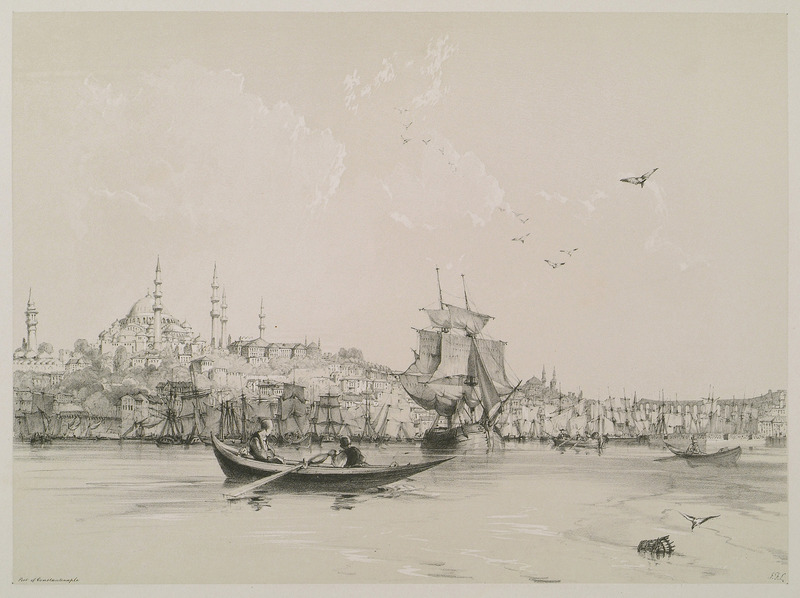 View of Pera (Beyoğlu) in Istanbul. Fig. 2. 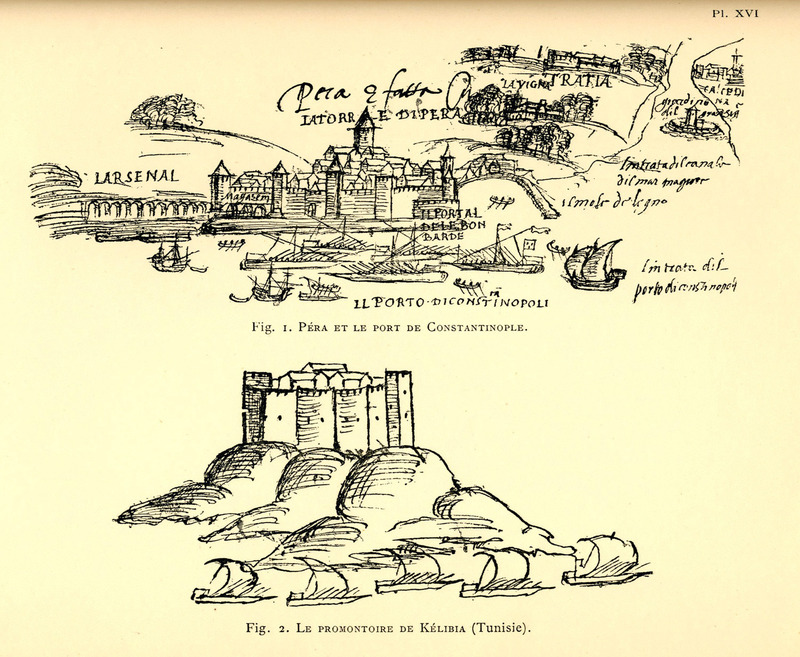 The fortress of Kelibia in the Kelibia promontory in Tunisia. 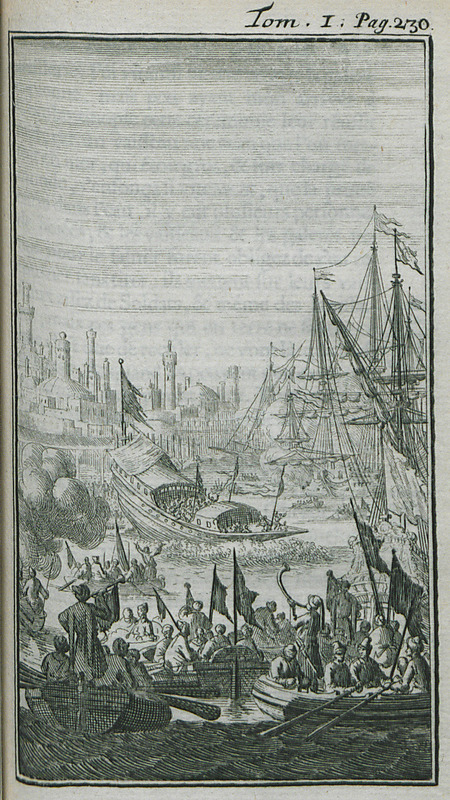 Festivities at the port of Istanbul, to celebrate the construction of a new ship. 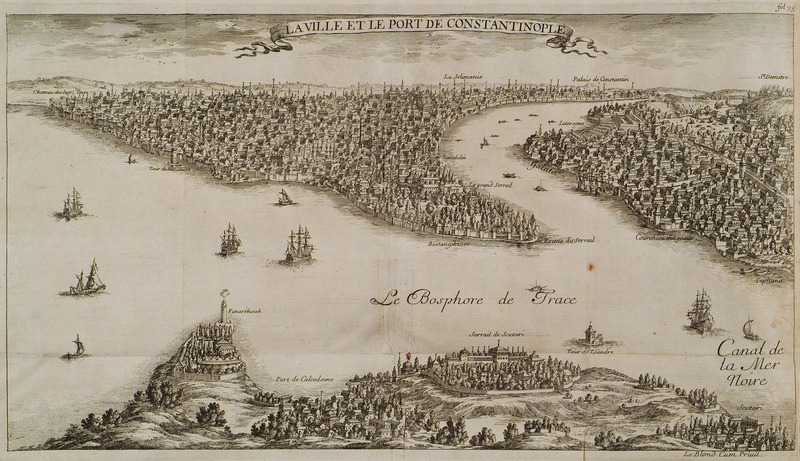 Top: Panoramic view of Istanbul from Pera. 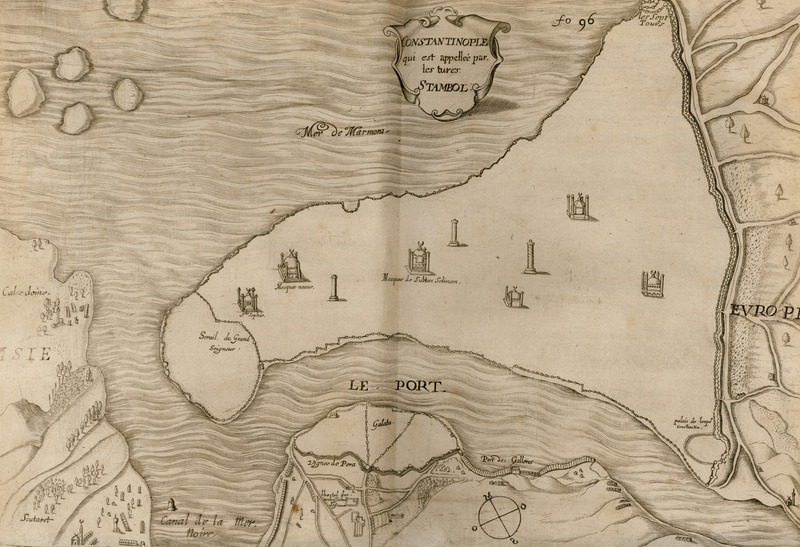 Bottom: Panoramic view of Pera.